Birth Joseph Frederick Thurlow was born on 24 September 1871 at Pleasant Valley, St Bathans, in OTG, NZBG. Marriage He and Agnes Ledingham were married on 16 August 1893 at Sowburn in OTG, NZBG. Death He died on 2 November 1946 at age 75 at Patearoa in OTG, NZBG. Burial He was buried on 4 November 1946 at Ranfurly in OTG, NZBG. Birth Walter Henry Thurlow was born on 12 October 1873 at Welshmans Gully, Cambrians, in OTG, NZBG. Marriage He and Annie Shaw were married on 31 January 1906 at Gimmerburn in OTG, NZBG. Death He died on 23 October 1936 at age 63 at Dunedin in OTG, NZBG. Burial He was buried on 25 October 1936 at Andersons Bay, Dunedin, in OTG, NZBG. Birth Arthur Thomas Thurlow was born on 27 August 1875 at Two Mile, Cambrians, in OTG, NZBG. Marriage He and Honora Una O'Regan were married on 30 January 1901 at St Bathans in OTG, NZBG. Death He died in 1953 at age ~78 in NZBG. Burial George Douglas Thurlow was buried at St Bathans in OTG, NZBG. Birth He was born on 6 April 1880 at Shepherds Flat, Cambrians, in OTG, NZBG. Death He died on 13 May 1884 at age 4 at Shepherds Flat, Cambrians, in OTG, NZBG. 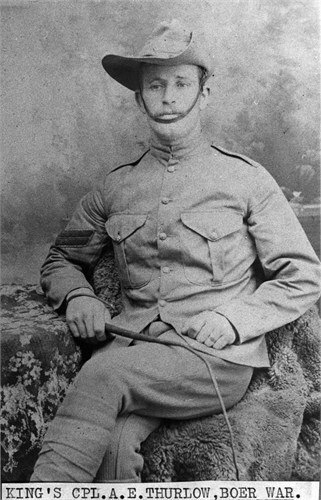 [MIL] King's CPL A. E. Thurley, Boer War. Burial Albert Edward Thurlow was buried at Andersons Bay, Dunedin, in OTG, NZBG. Birth He was born on 7 September 1877 at Cambrians in OTG, NZBG. Marriage He and Beatrice Marguerite Corliss were married on 2 June 1902 at St Bathans in OTG, NZBG. Death He died on 27 July 1968 at age 90. Birth Richard Herbert Thurlow was born on 1 December 1881 at Cambrians in OTG, NZBG. Marriage He and Violet Gertrude Somer were married on 7 June 1911 at Kilbirnie in Wellington, NZBG. Death He died on 23 June 1964 at age 82 at Auckland in NZBG. Birth Reuben Watts Thurlow was born on 26 November 1883 at Shepherds Flat, Cambrians, in OTG, NZBG. Marriage He and Elizabeth Isabella Oliver were married on 23 December 1916 at Auckland in NZBG. Death He died in February 1968 at age 84 at Auckland in NZBG. Birth David Samuel Hanger was born on 12 September 1865 at St Bathans in OTG, NZBG. Marriage He and Julia Thurlow were married on 14 February 1887 at Vinegar Flat, St Bathans, in OTG, NZBG. Death He died on 13 June 1937 at age 71 at Auckland in NZBG. Burial He was buried on 15 June 1937 at Waikumete in Auckland, NZBG. Burial John Watson Coulson was buried at Alexandra in OTG, NZBG. Birth He was born about 1859 at Milton in Cambridgeshire, EnglandBG. Marriage He and Louisa Sarah Thurlow were married on 2 July 1883 at Cambrians in OTG, NZBG. Death He died on 3 June 1917 at Alexandra in OTG, NZBG. Birth Emily Jane Hodgins was born on 22 September 1875 at Naseby in OTG, NZBG. Marriage Robert James Thurlow and she were married on 1 March 1897 at Naseby in OTG, NZBG. Death She died on 21 May 1946 at age 70 at Dunedin in OTG, NZBG. Burial She was buried on 23 May 1946 at Andersons Bay, Dunedin, in OTG, NZBG. Burial Agnes Ledingham was buried at Ranfurly in OTG, NZBG. Birth She was born on 26 January 1874 at Sowburn in OTG, NZBG. Marriage Joseph Frederick Thurlow and she were married on 16 August 1893 at Sowburn in OTG, NZBG. Death She died on 15 September 1950 at age 76 at Patearoa in OTG, NZBG. Birth Annie Shaw was born in 1868 at Roxburgh in OTG, NZBG. Marriage Walter Henry Thurlow and she were married on 31 January 1906 at Gimmerburn in OTG, NZBG. Death She died on 11 September 1949 at age ~81 at Dunedin in OTG, NZBG. Burial She was buried on 13 September 1949 at Andersons Bay, Dunedin, in OTG, NZBG. Birth Honora Una O'Regan was born on 1 November 1877 at St Bathans in OTG, NZBG. Marriage Arthur Thomas Thurlow and she were married on 30 January 1901 at St Bathans in OTG, NZBG. Death She died in 1959 at age ~82 in NZBG. Birth Beatrice Marguerite Corliss was born about 1879 at Kensington, Dunedin, in OTG, NZBG. Marriage Albert Edward Thurlow and she were married on 2 June 1902 at St Bathans in OTG, NZBG. Death She died on 16 November 1952 at Christchurch in CBY, NZBG. Burial She was buried on 19 November 1952 at Andersons Bay, Dunedin, in OTG, NZBG. Birth Elizabeth Isabella Oliver was born in 1892 at Hikutaia in WKT, NZBG. Marriage Reuben Watts Thurlow and she were married on 23 December 1916 at Auckland in NZBG. Death She died in September 1969 at age ~77 at Auckland in NZBG. Birth Robert Thurley was born in 1802 at Conington in Cambridgeshire, EnglandBG. Marriage He and Mary Ann Woods were married on 11 October 1829 at Milton in Cambridgeshire, EnglandBG. Death He died in January 1875 at age ~73 at Milton in Cambridgeshire, EnglandBG. Burial He was buried on 6 January 1875 at Milton in Cambridgeshire, EnglandBG. Chr Mary Ann Woods was christened on 22 July 1810 at Milton in Cambridgeshire, EnglandBG. Marriage Robert Thurley and she were married on 11 October 1829 at Milton in Cambridgeshire, EnglandBG. Death She died in December 1901 at Cambridge in Cambridgeshire, EnglandBG. 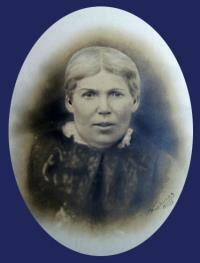 Chr Anne Thurley was christened on 26 October 1832 at Milton in Cambridgeshire, EnglandBG. Marriage Philip Butler and she were married on 23 June 1862 at Milton in Cambridgeshire, EnglandBG. Death She died after 3 April 1881. Chr William Thurley was christened on 2 July 1837 at Milton in Cambridgeshire, EnglandBG. Death He died on 31 January 1902 at St Bathans in OTG, NZBG. Burial He was buried on 2 February 1902 at St Bathans in OTG, NZBG. Chr Jane Thurley was christened on 3 April 1843 at Milton in Cambridgeshire, EnglandBG. Marriage Thomas Cole and she were married in 1863 at London in EnglandBG. Death She died on 6 April 1909 at Kensington, Dunedin, in OTG, NZBG. Burial She was buried on 9 April 1909 at Southern, Dunedin, in OTG, NZBG. Chr Robert Thurley was christened on 31 May 1846 at Milton in Cambridgeshire, EnglandBG. Marriage He and Harriet Freeman were married in 1872 at Cambridge in Cambridgeshire, EnglandBG. Death He died in 1896 at CAM in EnglandBG. Chr James Thurley was christened on 7 January 1849 at Milton in Cambridgeshire, EnglandBG. 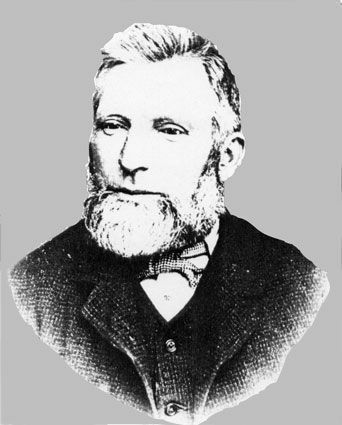 Marriage He and Sarah Ann Eason were married on 9 September 1870 at Milton in Cambridgeshire, EnglandBG. Marriage He and Eliza Smith were married in 1888 at Cambridge in Cambridgeshire, EnglandBG. Birth Thomas Cole was born in 1845 at Cheltenham in GLS, EnglandBG. Marriage He and Jane Thurley were married in 1863 at London in EnglandBG. Death He died on 12 October 1915 at age ~70 at Kensington, Dunedin, in OTG, NZBG. Burial He was buried on 15 October 1915 at Southern, Dunedin, in OTG, NZBG.